Veterinary acupuncture can be used to treat several conditions from arthritis to respiratory problems and just about everything in between. Acupuncture operates under the theory that when the body's natural energy source becomes disrupted, sickness and pain can occur. To address these ailments, acupuncture needles are inserted into specific points along the body to bring energy back into balance and to stimulate healing to occur. First time acupuncture clients are scheduled for 1 hour which includes a western exam, an eastern exam, the first acupuncture treatment, and a food therapy consult. Any herbals prescribed are an added cost. Treatments are generally once a week for 3 weeks and then the case is reassessed. This may change depending on age of the patient, and the condition. Dr. Nelson works closely with you through email contact to answer any questions that arise. Her ultimate goal is to help all her patients and then see them as little as possible because they are doing so well! The goal of chiropractic care in animals is to bring the body back into a state of balance so that healing can occur. Depending on the condition, x-rays may be required before starting treatment if they have not been done. The adjustments are performed in the joints normal range of motion with a high velocity, low amplitude thrust. The spine and all extremities are examined and treated during a visit. Western medicine, rehabilitation therapy or, other alternative modalities may be suggested depending on the underlying cause for a condition. Treatments are generally every 2 weeks with the goal of spacing them out as long as possible. If an animal is not holding their adjustments well, certain exercises may be instituted to help. Our rehab technician Ken is a wealth of knowledge and works closely with Dr. Nelson when a case needs it. Herbal prescriptions are based on a "pattern diagnosis" (Chinese medicine diagnosis) that Dr. Nelson assigns after examining your pet. Chinese herbs are made from substances found in the environment and come in powdered, capsule or tea pill (small, coated tablet) forms. They can be used in conjunction with both alternative and traditional forms of medicine. Dr. Nelson treats herbals as normal medications and checks for possible reactions with other medications and herbs that your pet may already be taking. This ensures the safest possible outcome for your animal and their quality of life. In Chinese medicine, foods are assigned energetic temperatures (hot, warm, neutral, cool, cold) and are recommended based on the need of the individual. Each Eastern exam has a food therapy consultation included. Recommendations may include guidance of store bought foods, supplemental foods to feed, homemade diets, and raw diets. 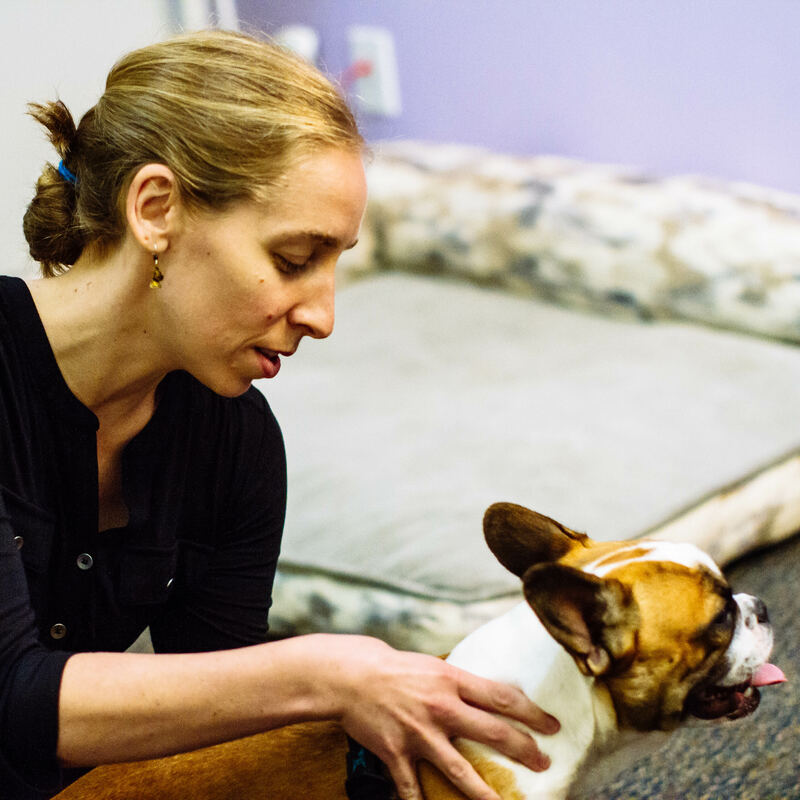 Dr. Nelson works hard to ensure that your pet receives the best diet for them as an individual. She also gives you several options so that you can choose the one that best fits your time constraints and budget.